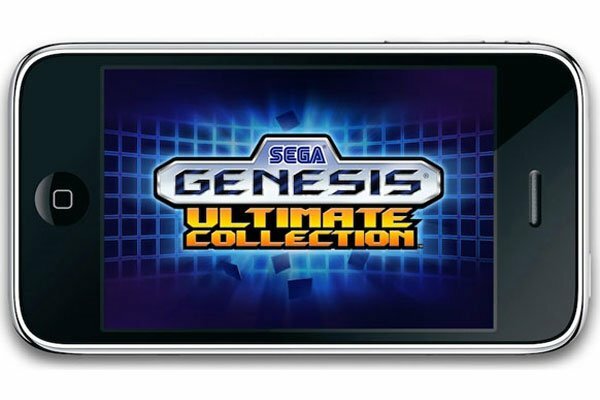 Sega is releasing a new application for the Apple iPhone and iPod Touch, the Sega Genesis Ultimate Collection, which is basically an emulator for you to play Sega Genesis (Megadrive) games on, and the games will run just like the originals. The Sega Genesis Ultimate Collection iPhone app will come bundled with Space Harrier II, you will then be able to add other Sega Genesis games to the virtual console. Some of the games being released under the Sega Genesis Ultimate Collection iPhone App include favourites like Sonic the Hedgehog (although this is already available on the iPhone), Ecco the Dolphin, Shinning Force and Golden Axe. Prices will range from $2.99 to $5.99 per game, and a few of the games listed are already available on the iPhone as stand alone games. There are no details as yet when the Sega Genesis Ultimate Collection iPhone App will be available from iTunes, we will keep you updated as soon as we know.